A new masterpiece of Iclandic black metal is upon us. 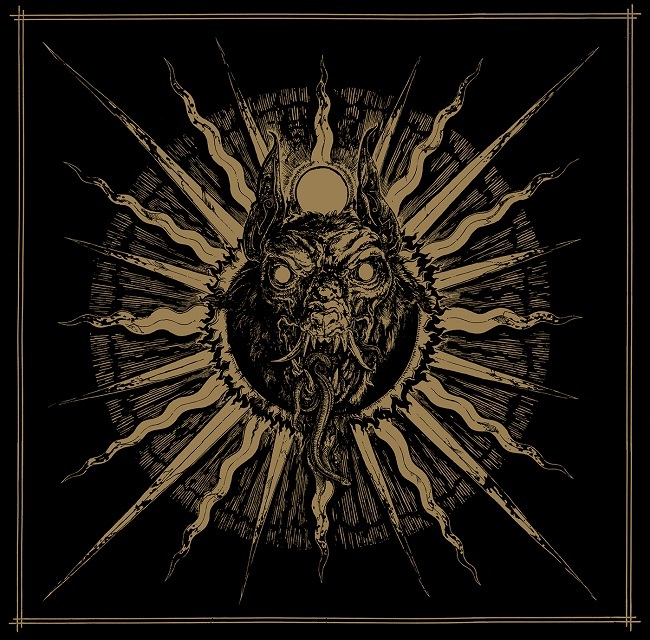 With all due respect to bands like Auðn, Sinmara, Sildhr, Misþyrming… But Svartidauði is pure masterpiece of black metal filled with chaos, malignant atmosphere and sinister sound. Six years passed since this band released their first full-length material, “Flesh Cathedral”. That first album proved that is a word about brilliantly composed black metal manifest. After that album they had released three EP’s and one Live album. But this second full-length album was highly anticipated within their fans. This time in cooperation with Germanian label Ván Records, band delivered us around 48 minutes of great music, pure black metal that is endemic species in todays metal scene. On this one, band put even more crystal clear production than on previous full-length. Guitar parts are simply great. Drums are in the background and making a perfect rhythmic base for guitars that shredding through this album. On the top of that musical craftsmanship, vocals of Sturla Viðar came really par excellence. Again, band used Studio Emissary in Reykjavík, Iceland. Svartidauði made previous album in this studio, so with certainty we can say that band find winning formula in work with Stephen Lockhart and his studio space. This man really brought out the best sound from this band. On great albums it is hard to search for hit songs, but on this material, one song caught my ears; that is third song, “The Howling Cynocephali”. This particular song is a pure divine of black metal and possess enough quality and atmosphere to become an instant hit within the genre. With a big dose of security I can say that Iclandic black metal juggernaut Svartidauði made a magnificent black metal material that will stand the tests of time, for sure. Opus under the name of “Revelations of the Red Sword” will give you the taste of quality black metal in 2018.